Pierre Bélanger believes we need to radically change the way we design our world. Ahead of his appearance at the 2017 Festival of Landscape Architecture, the landscape urbanist talks with us about the urgent need to bring land and local territorial knowledge into the heart of design. In the history of national contributions to the Venice Architecture Biennale, Canada’s 2016 exhibition stands out, for, well, not standing out. So much so, in fact, that the Biennale’s 2016 Creative Director Alejandro Aravena at one point seemingly missed its presence entirely. 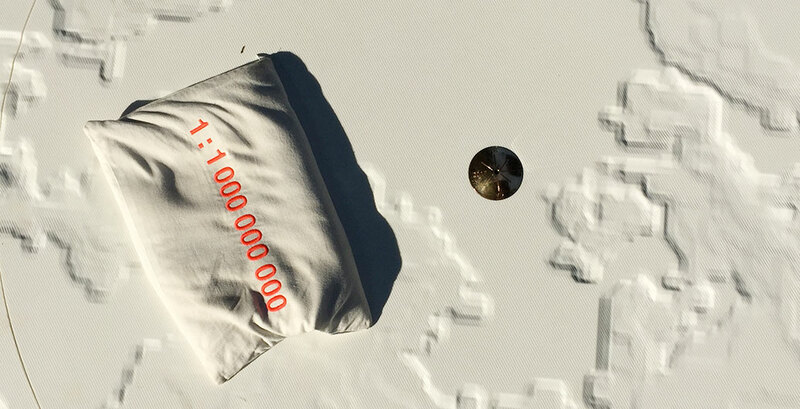 “He literally didn’t notice our project, because it was flat and he just walked across it,” recalls Pierre Bélanger, curator of Canada’s 2016 exhibition ‘Extraction’, speaking to Foreground on the phone from Harvard University’s Graduate School of Design where he teaches as an associate professor of landscape architecture. You might imagine this experience would be frustrating for a curator, which indeed Bélanger says it was, but mostly given the focus of the exhibition: land. More specifically, who controls it, how they came to that control, what they do with it and why. “There was a tremendous opportunity to put land and territory on the map – to potentially engage in a de-colonial discourse, in a European setting, on the one issue that architects persistently overlook, depoliticise and completely marginalise,” says Bélanger. 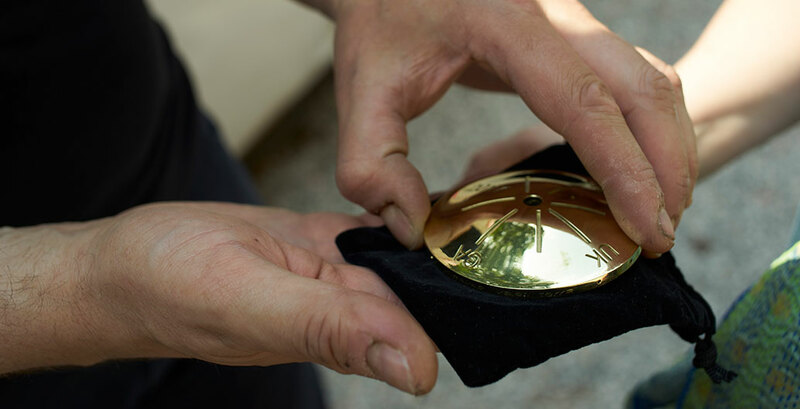 Formed from a literal hole in the ground of the Giardini, the exhibition consisted of a pure gold “survey stake”-meet-keyhole that alert visitors could lie down and peer through to watch a visual history of Canada’s global mining industry and its impact, most especially on indigenous communities. Within the context of preening self-regard and self-conscious national spectacle that defines much of the Biennale’s history, Canada’s 2016 exhibition was markedly anti-monumental. Given Aravena’s theme for the Biennale, though, was “Reporting from the Front”, in his words an opportunity for countries to “share with the rest of the world” what “fights they face at home”, the exhibition’s subject seems especially apt. Aravena may have been oblivious to the presence of the Canadian exhibition, but the decision makers within the Canadian government and Royal Architectural Institute of Canada (RAIC) certainly weren’t. Bélanger believes the exhibition’s focus on Canada’s mining industry and its corollary relationship to centuries-old colonial systems of exploitation and indigenous subjugation made some within these powerful organisations uncomfortable. 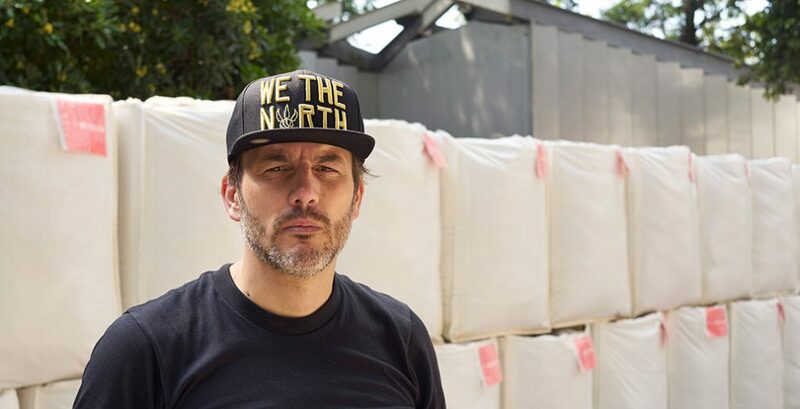 An international jury appointed by the Canada Council for the Arts had awarded Bélanger the 2016 curatorship, but as preparations developed for the exhibition, roadblocks appeared. First, the RAIC, which would traditionally have acted as exhibition commissioner and fundraiser, opted not to support it. Then, the Canadian Pavilion itself closed for renovations (curiously, the pavilion has been temporarily re-opened this year for the Venice Art Biennale). Resistance from the national bureaucracy wouldn’t be surprising, given the exhibition proposed that “contemporary practices of resource mining are rooted in ongoing ideologies of colonisation”, painting Canada and its minerals industry in imperial colours. But in the instance of the RAIC, Bélanger says there was an additional problem, which is that the Institute didn’t see the exhibition as representative of architecture. 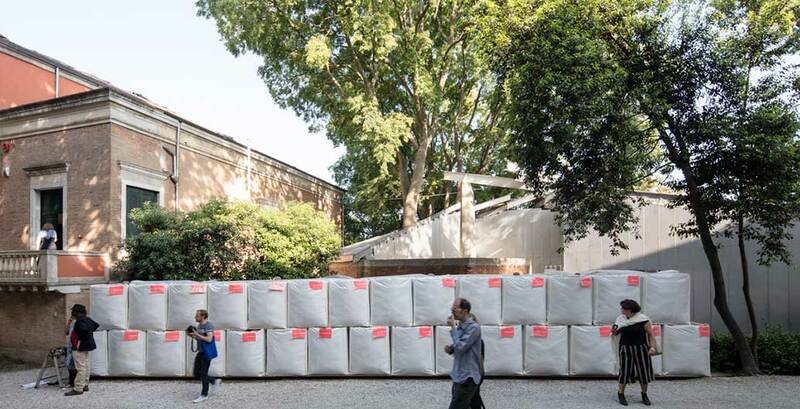 In some ways, this isn’t surprising either, as even some in landscape architecture and other related disciplines might struggle to see what place the proposal could have in the Venice Architecture Biennale, an event that exists to exhibit design in the built environment. A Walk in the Park of Empires from EXTRACTION on Vimeo. Bélanger’s exhibition in a way subverted not just the nationalistic spectacle of the biennale, but also the conventional conception of what is appropriate territory for design, what it does and who it is for. The exhibition’s exploration of “resource urbanism” (the “oppressive relationship that Canadian cities and settler-states—as colonial metropolises—exercise on territorial hinterlands, water bodies, Indigenous lands and peoples,” as Bélanger describes) continues a history on his part of engagement with the largely opaque or ignored forces that have shaped our world and its territories for generations: of capital, of colonialism, and of the traces of their influence in fields as diverse as logistics, engineering and even ecology. In many ways, it was a not-so-subtle recrimination for the various design disciplines’ complicity with these forces and a repudiation of their methods and fixations: the design artefact, but also the plan. While Aravena’s biennale was lambasted for its uncritical enthusiasm for makeshift solutions in lieu of addressing the systemic problems that necessitated them, the negative space of Bélanger’s anti-artefact made the systems themselves the focus. For Bélanger, it is these systems of exploitation and the corollary lack of awareness or outright disregard for indigenous sovereignty and, critically, territorial knowledge that have led to the morass of climate crises we now find ourselves submerged in. For Bélanger, addressing these problems demands a total reconceptualisation of how design in the built environment operates and who it operates for; it demands that we think critically about the way land is understood, measured and modelled, and that we engage sincerely with those that help shape it. He sees the most promising way forward in the discipline of landscape architecture, not only for its skill in the design of open spaces, but its capacity to reform 20th century urban design, reclaim biophysical processes, repair damaged water sheds and reconstruct critical ecosystems. 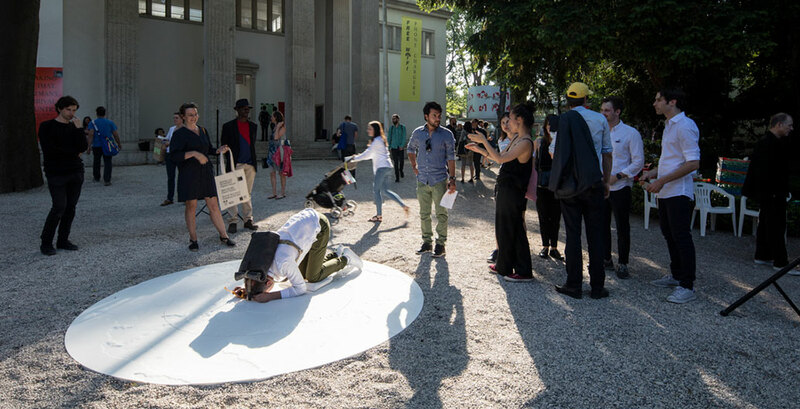 From landscape architecture’s position on the edge of the systems of power that shape our world, though, he also sees an opportunity for advocacy beyond “reporting” from the rarefied environs of the Venice Biennale. “What if the project of landscape itself is kind of like a marginalised design discipline, fighting the oppression of marginalised people and marginalised territories, to displace the supremacy of the colonial metropolis as the dominant centre, off the map?” Bélanger asks. Pierre Bélanger will be a keynote speaker at The Third City, the 2017 International Festival of Landscape Architecture, 12 – 15 October, Overseas Passenger Terminal, Circular Quay, Sydney, Australia.